Cruising the Pacific Northwest or crossing the Gulf Stream can make any seasoned captain nervous at times, especially when inclement weather arises. If you’re the type of yacht owner that enjoys the journey of exploring unchartered waters or going off the grid for weeks at a time, then the safety, performance, and accommodations of the Northwest Yachts 63 is your match. 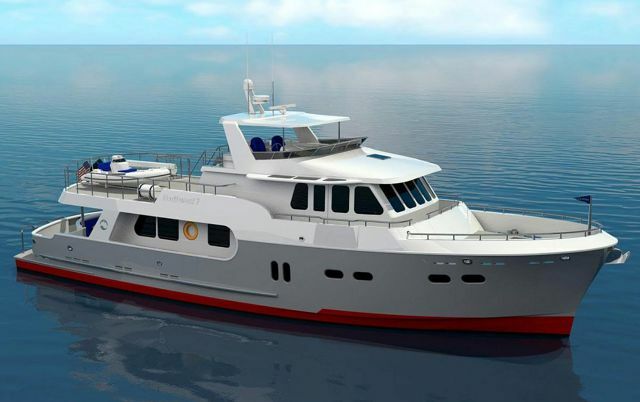 Built to the highest standards that utilize a vacuum-bagged vinylester resin-infusion process, the 63 has a trawler pedigree that expedition yacht owners will love. 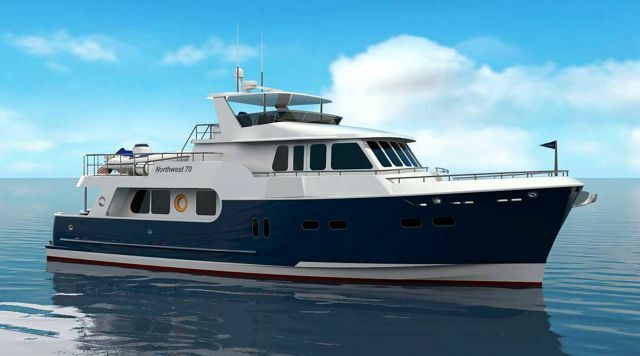 Powered by twin John Deere 500hp diesel engines, the Northwest 63 can expect to cruiser at a 8 to 12 knot range with top end speeds reaching the upper teens. And with the Northern Lights M844W3 16kw generator on board, running all of the components on board for extended periods is no problem. While the hull and deck are rugged and built to last, the interior layout continues in the Northwest Yachts trend of luxury and comfort. 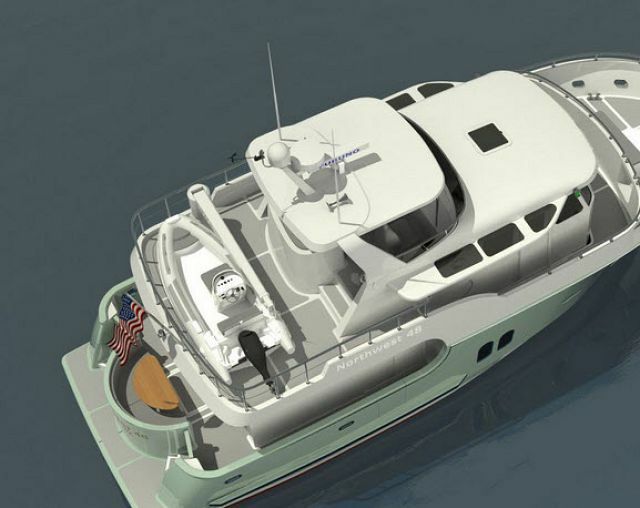 Rivaling other motor yachts in its size range, the 63 has a spacious 3-stateroom, 3-head layout with ample storage room. An optional 2-stateroom, 3-head layout is also available. The master suite includes a queen-sized walk-around berth with storage underneath and cedar-lined hanging lockers for extended trips. Hands-on owners will also enjoy the standing headroom in the engine compartment. 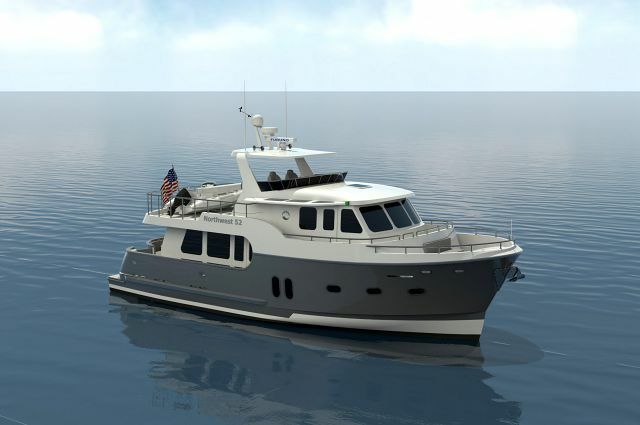 Contact your Seattle Yacht Sales Professional today to get more information on the Northwest Yachts 63 trawler motor yacht. Water Tank Capacity: 450 Gal.